Certified nursing assistants (CNAs) must be equipped with basic healthcare skills, a patient outlook, a warm personality, and a high degree of professionalism. Highlands College of Montana Tech offers one of the state’s premier CNA certificate programs each fall, spring, and summer semester. This course of study requires just a few months to complete. The median annual salary for Montana’s CNAs is $23,940. Aspiring licensed practical nurses (LPNs) must complete a state-approved associate’s degree program in practical nursing and successfully pass a national licensure examination. Montana’s LPNs are also required to renew their licenses every two years by completing 24 hours of re-education. Missoula College offers an associate of applied science (AAS) degree in practical nursing which prepares students to work for local employers like Community Medical Center and Providence Health & Services. The state has a handful of other public colleges that also offer accredited practical nursing degree programs. The state’s LPNs earn a median annual salary of $37,530. Registered nurses (RNs) may pursue one of two licensure pathways in Montana: a two-year associate’s degree in nursing (ADN) or a four-year bachelor of science in nursing (BSN). All candidates must successfully pass a national licensure examination before practicing. 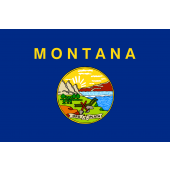 Similar to LPNs, Montana’s RNs must also renew their licenses biannually. The state has ten RN prelicensure programs in total, including eight ADN programs and two BSN programs. The median annual salary for Montana’s RNs is an attractive $58,840. Interested to learn more? Below you can find a full list of accredited nursing schools in Montana.